Raja Sen lists his reasons why Spidey's fifth outing should be something special. 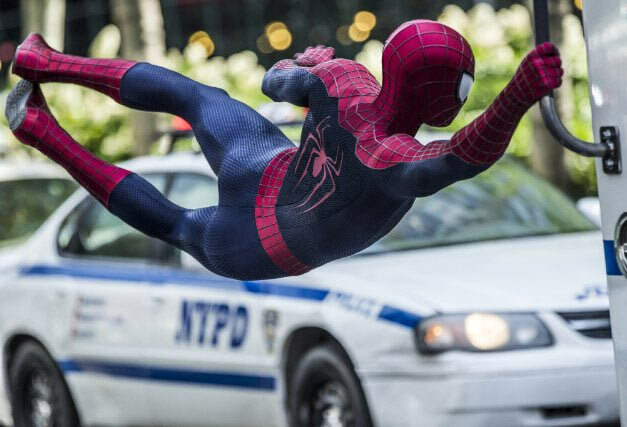 Spidey’s fifth outing in a dozen years will be in Indian theatres on May 1 with Marc Webb’s The Amazing Spider-Man 2: Rise Of Electro. While it might be harder than ever to muster up enthusiasm for a Marvel superhero film *not* produced by Marvel Studios -- who appear to be doing everything right -- here are 10 reasons why we should still look forward to something special. Sure, Tony Stark may be the man with the one-liners now and the Guardians Of The Galaxy trailer is admittedly pretty funny, but those who grew up with their nose buried in Marvel comics are more than aware that quips are the quintessence of Spidey, and nobody throws out a bad pun harder than Peter Parker. With this film, it looks like that insouciance is finally translating to the big screen. One of the most reassuring superhero movie truisms is that good things happen in Part 2. Unencumbered by origin story and with an inevitably more confident protagonist, the second superhero movie has always been where the high-flyers really come into their own. Batman Begins was trumped by the now-classic The Dark Knight, the new Captain America movie is so much better than the first one, and Sam Raimi’s Spider-Man 2 not just beat the 2002 original but set a new standard for comicbook storytelling. No reason the new Spidey-2 won’t top the first. For some reason, superhero movies have long cast the wrong women. Christopher Nolan’s critically adored Batman movies gave plum heroine parts to uncharismatic women like Maggie Gyllenhaal and Katie Holmes, while Sam Raimi’s Spider-movies were forced to carry Kirsten Dunst’s woefully miscast Mary Jane Watson. Even Christopher Reeve’s Superman, back in the day, had to deal with Margot Kidder in the lead role. But Marc Webb’s changed all that by taking Gwen Stacy -- a super compelling Spider-Man heroine -- and giving the role to the talented, vivacious and bright Emma Stone. 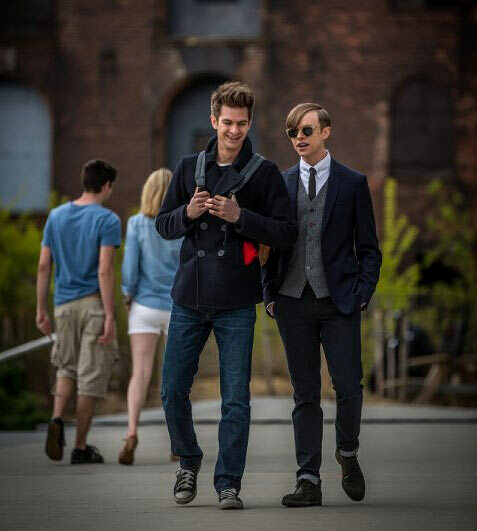 Webb’s first Amazing Spider-Man movie retread so many of the origin-story beats Sam Raimi had mastered barely a decade ago that it would have been a tiresome film -- were it not for the infectious, goofy, mumbly chemistry shared by leads Emma Stone and Andrew Garfield. They’re young, they’re un-hip, they’re floundering and they’re trying to sound more confident than they actually feel -- which makes them rock the relationship on-screen. The fact that they have since been dating offscreen as well doesn’t hurt, naturally. 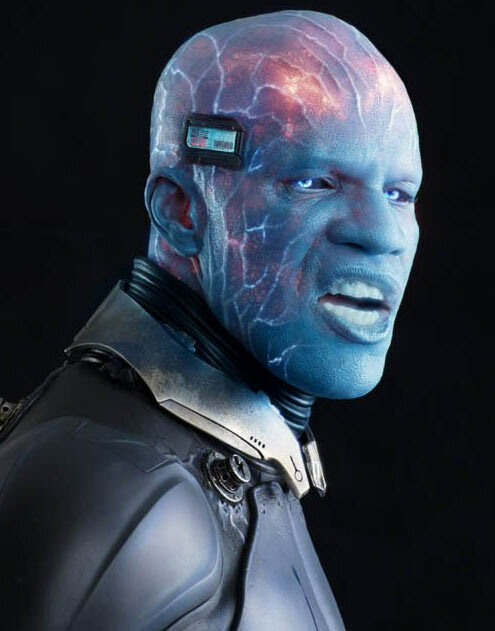 In the comics, Electro wears a distinctive -- and highly childish -- giant star-shaped yellow mask, and while that’s missing, the very idea of the attention-seeking electrician quick to fire lightning bolts should be a welcome addition to a franchise boasting of a sensational rogues gallery. Most of us last saw Jamie Foxx as Django in Quentin Tarantino’s Django Unchained, and it’ll be interesting to see what the Oscar-winning actor brings to this role. 'Russian mobsters are always good villains,' said the accomplished and always awesome actor Paul Giamatti about his weird but compelling character, The Rhino. 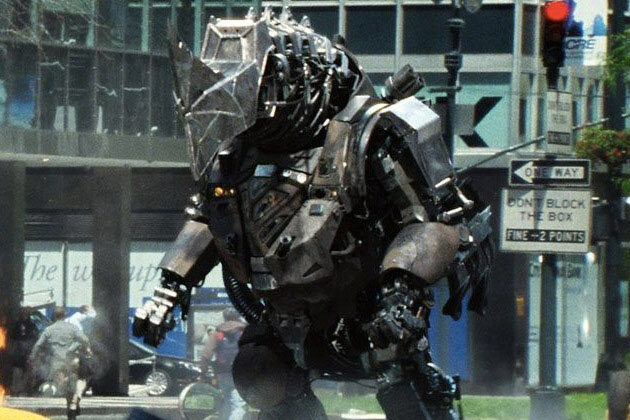 This villain’s likely to be decidedly over the top, both freakish and fascinating at the same time, but with Giamatti inside that Rhino suit, there’s a lot we’re expecting. 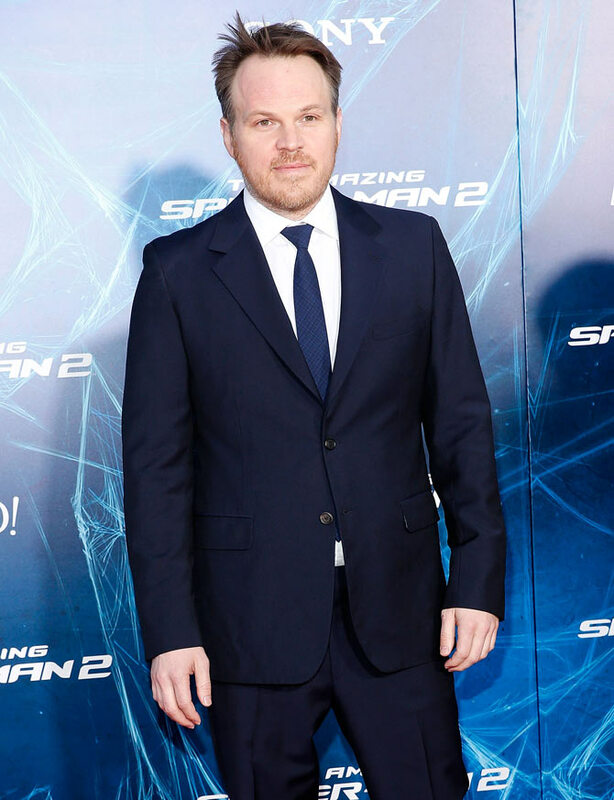 Webb admits that the first Spider-Man movie didn’t let him free up his directorial arms as much, but has constantly said he’s enjoyed the rollicking nature of the sequel. We’re inclined to believe the (500) Days Of Summer director, because every director’s origin story film (especially in these times of reboots and re-reboots) is their clunkiest. A fine, fine actor, the British youngster is a natural fit for Peter Parker -- even though its clear that the awkward teenage gawkiness is an act. That said, his version of the character, while less nerdy than that of Tobey Maguire, provides that all-important burst of spontaneous Parker wit better than his predecessors. We first saw him in 2012’s Chronicle, and Dane DeHaan -- who looks uncannily like a young Leonardo DiCaprio, albeit a slimier version of the matinee idol -- is set to step into the shoes of Harry Osborn, Peter’s close buddy as well as the son of Norman Osborn, Spider-Man’s greatest villain. It’s a role played by James Franco in the older films, and, coincidentally enough, just like Franco, DeHaan too will be playing James Dean in a biopic soon. 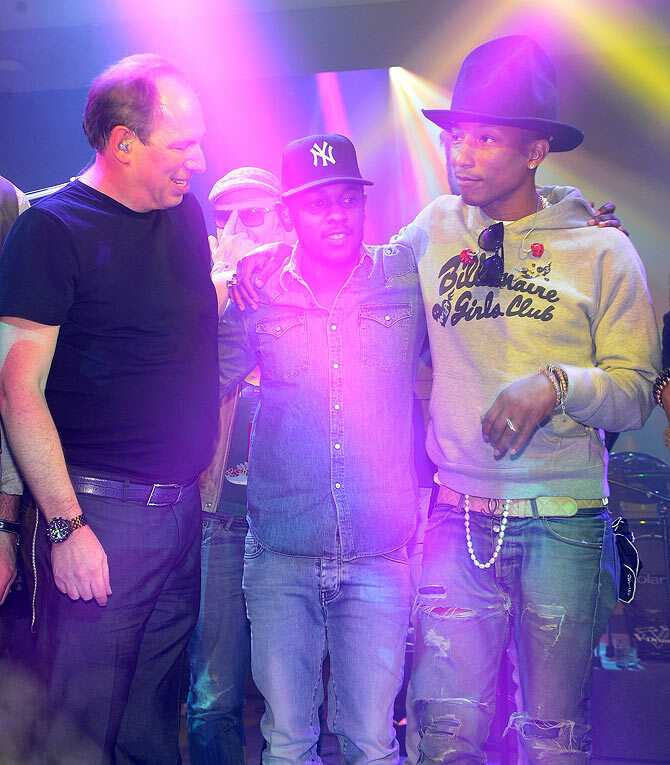 To see composer Hans Zimmer scoring a superhero movie isn’t a surprise -- he’s handled Chris Nolan’s bat flicks, plus Man Of Steel and the Pirates Of The Caribbean movies -- but the veteran’s been joined this time by hat-loving hip-hop artist Pharell Williams, maker of that massively popular Happy song, among other hits. The results should be... well, unconventional, anyway. 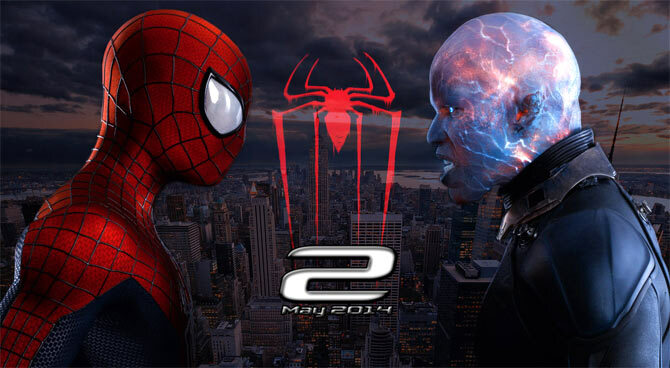 Like The Amazing Spider-Man 2 trailer? VOTE! Review: The Amazing Spider-Man is a lot of fun!